Fragrant Basmati Rice with fresh herbs, Thyme for Cooking Recipes. 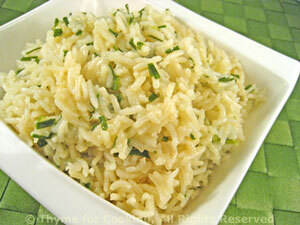 Simple, fragrant, fluffy rice - vary the herbs to fit the main course. Add stock or water and herbs. Cook rice for 15 - 20 minutes.